Within Teamwork Projects, a site or project administrator can archive messages that have been added to a project. To do this, select the messages area of your project. Open the message you wish to archive. Click the options button (three dots) to the top right and select Archive. 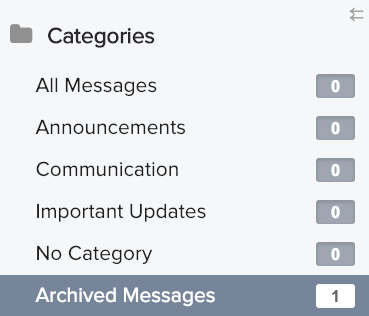 This will move the message to an Archived Messages category, accessible from the left pane of the Messages area. Note: Archiving a message prevents it from accepting any replies. If a person replies to a message notification by email and the message has been archived, they will receive a message explaining that their reply has not been added to the message thread.